Stampede! That's a fine cover by H.W. 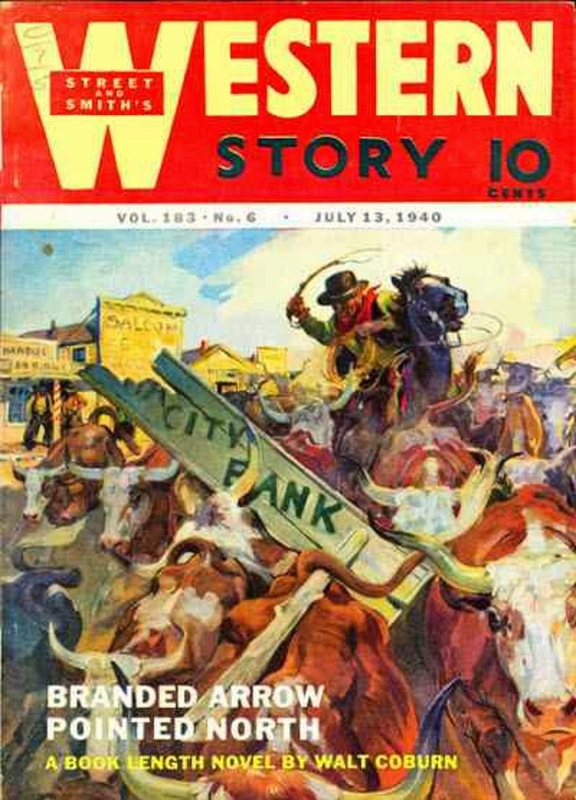 Scott, one of the most prolific cover artists for WESTERN STORY during this era. There's a good bunch of authors inside, too: Walt Coburn, Cliff Farrell, James B. Hendryx, and Frank Richardson Pierce with a story under his name and another under his Seth Ranger pseudonym. I'd like to see some of Pierce's work reprinted, especially the novels he did under the Seth Ranger name.